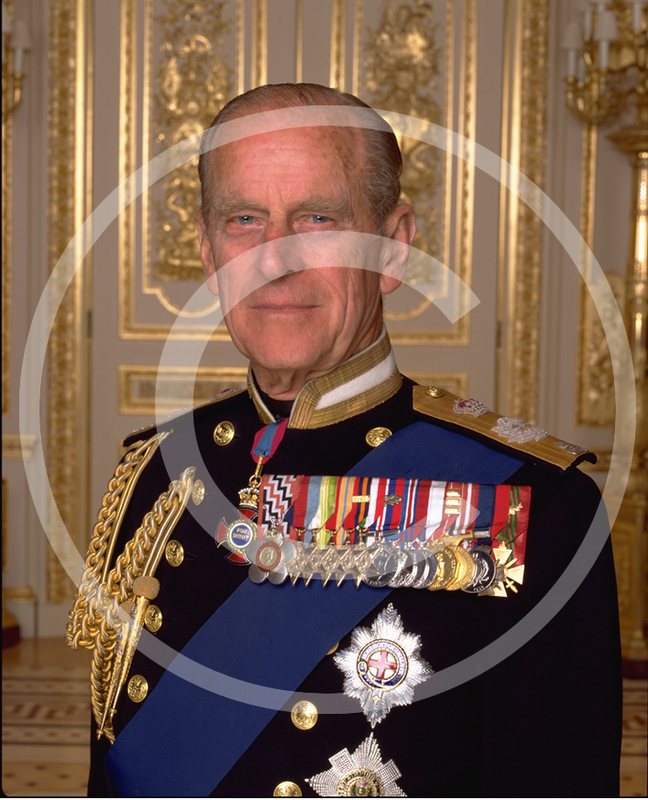 Royal Images manage the most recent Official images of HM The Queen and HRH The Duke of Edinburgh. 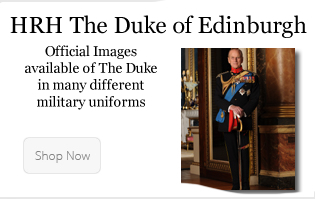 These photographs were taken by Julian Calder in 2011 and were photographed in Buckingham Palace and are identified by the image reference ending in JC. 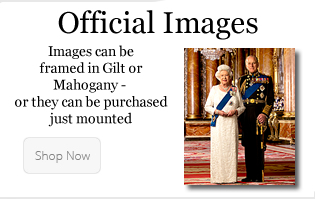 We also have images other official photographs which were taken at Windsor Castle & Sandringham and were taken by Mark Lawrence and Terry O'Neill. 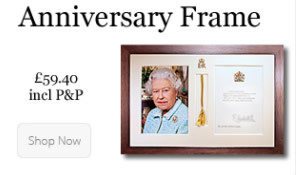 Royal Images are proud to offer a specially designed anniversary card frame which was specifically produced for the Anniversary / Birthday card which is sent from Buckingham Palace to mark those special occasions such as 60+ years married or 100+ years old. 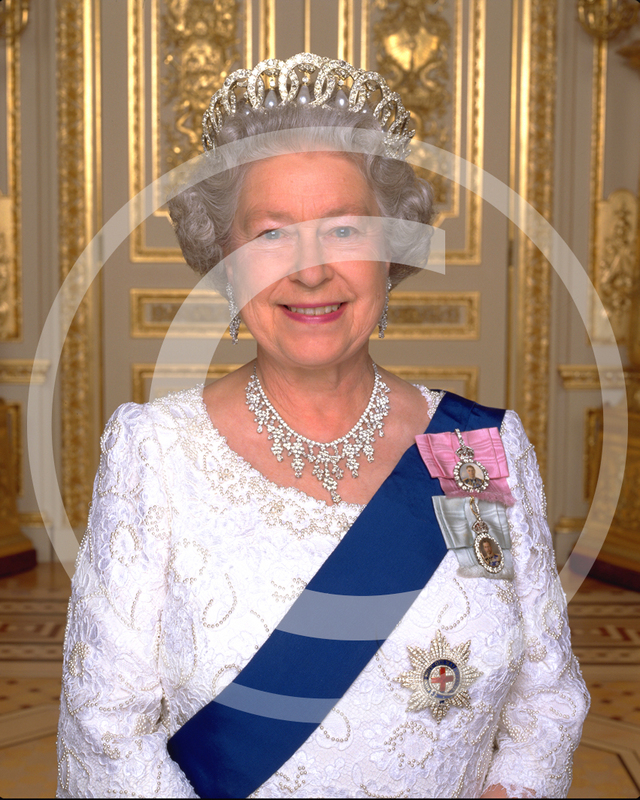 The wooden frame has a mahogany finish and the cream coloured mount is stamped with a gold leaf EiiR cipher, and we are extremely fortunate as H M The Queen granted Royal Images permission to use this cipher on the card mount which is stamped using a gold leaf. 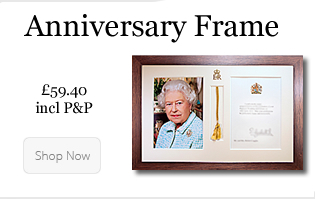 If you would like to buy the frame online now the price is £59.40 including p&p to UK mainland (there will be a small additional fee to some parts of Scotland, Scottish Isles, Highlands and Northern Ireland. For international deliveries or VAT exempt deliveries please contact us first). These photographs are available for use for a wide variety of purposes although there are very strict rules regarding the usage, for example, if you wish to order a signed photograph then you must have been given permission prior to placing your order with us and this authorisation must be emailed to us at the time of you placing your order. Please contact us if you require further information. This is only available to those people who have been given permission and is not available if authorisation has not previously been granted as each print is personally signed. The letter of authorisation that you would have received would accompany your print for signature. Please do not order signed photographs if you have not been given authorisation. For more information, please refer to the guidelines pages that directly refers to your application. If you have any further questions after reading this section, then please do not hesitate to contact us.